“You’re still there, miss?” I hear that quite often when I go to visit one of our afterschool programs. In addition, when program alumni see me in the community, they are always surprised when I tell them that I still work for Completely KIDS. My response is usually something about having the best job in the world followed by a “why on earth would I leave?” They usually look confused, and then give me a quick hug or fist bump and go about their day. Over the years I have made a lot of assumptions about these interactions. Are they confused by my stability because they have seen so much turnover in caring adults in their lives? Have they known anyone who has stayed with the same company for 20 years? Do they think that I should be doing something else by now? Do they know that youth development is an actual field and not just a stop-off place to earn some money while you figure out your real job? Do they see youth development as a respectable career? In my mind, afterschool or Out of School Time programs should have the most natural staff career pipeline imaginable. When a child has an incredible experience in their afterschool program and forms a relationship with a caring adult, ideally some of those children would be inspired to go into the afterschool field themselves. Those same children would eventually become young adults who attend college to study social work, education, and/or youth development and start working for their former after school program. Eventually, as they obtain their degrees and gain the knowledge and experience necessary to run a high quality after school program, they are promoted into full time site director (aka program coordinator) roles. The site directors then spend the next decade(s) of their careers improving the quality of their programs, contributing to the knowledge base in the field, and mentoring the next generation of youth development professionals. The site director role is so complex and demanding that it should never get boring. With some creativity and ambition, the site director should be able to continue to grow and enhance their position and their program throughout the remainder of their career. So why doesn’t that pipeline exist? As a Program Director of a Youth Development agency in Omaha, Nebraska, I am perpetually hiring for both part time and full time positions. Because we believe these jobs are comparable to other positions within the education and social work fields, their starting salaries and requirements are similar. 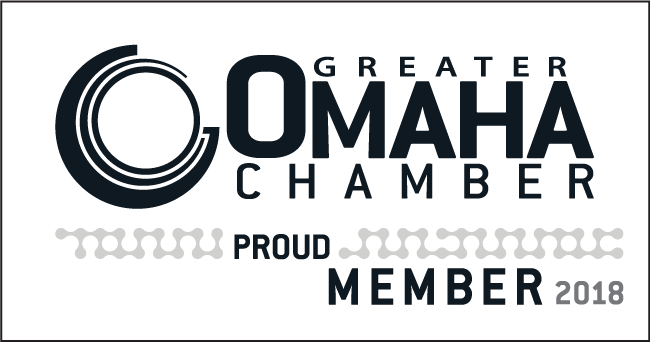 I decided to investigate why we have such a difficult time hiring and retaining youth development professionals by sending out a survey to approximately 150 youth development professionals working at several nonprofit agencies in Omaha. In the end, 78 staff from various nonprofits completed the online survey which asked about experiences in professional development, career interests, and more. The majority of part time program support staff indicated that they want to become educators (38%) or social workers (22%) while smaller numbers intend to have careers in the health care (10%) and youth development fields (10%). In contrast, the youth development field was the number one career goal for full time staff (34%) followed by educator (21%) and nonprofit management (13%), which could include being in management within the youth development field. My take-away is that the bulk of the part time staff currently employed in the field have no intention of staying there. Nearly one-third of respondents plan to leave the youth development field within the next three years. The bulk of them are leaving to become teachers (8 or 34%), Social Workers (5 or 22%), or a mix of other professions. We need more information on why the youth worker pipeline is leaking so that we can develop a strategy to fix it. How many of our program support staff attended an afterschool program during their youth? What are we doing in our afterschool programs to promote the youth development field as a career path? In addition to exposing kids to STEM, literacy, and art; how can we encourage our kids to aspire to careers within our own field? Do they see the significance of the field in their lives or connect to the youth development outcomes for which the program is striving? Are they able to articulate the story of the impact of their afterschool program within their own lives? Do we ask them to articulate that story? Our staff recruitment practices are a potential cause of the largest leaks. Historically many youth development agencies have posted for job openings in colleges of education and/or human services (i.e. social work), which accounts for the higher numbers of part time staff who intend to go into those fields. If youth development was marketed as a way to impact the education and social work fields from a different vantage point, we may have a different result. 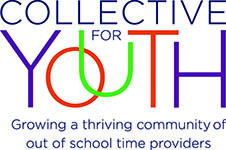 An alternative being utilized in other communities is starting a Youth Development degree at a community college or four year college that blends coursework from education, social work, and nonprofit management fields. There is a currently a youth development certificate program at the local community college but it has been slow to gain traction. To my surprise, the survey did not show overwhelming interest in obtaining a Youth Development degree (approximately 20%). Why? As a youth development network, we are trying to determine why there is little interest among existing staff. Do they not see benefits of obtaining the certificate and/or a degree in their field? We need to ensure that there is an incentive to obtain certificates and/or degrees in the field (better pay, advancement opportunities, etc.). If the staff do not see the certificate benefits and additional professional opportunities, they will continue to look for opportunities to be successful outside of the youth development field. Even though we lose a lot of staff members (both full and part time) to other opportunities, there are many that stay. We need to know more about them. According to the survey, 63% of respondents intend to stay in the field for a minimum of three more years. Of those, nearly 40% intend to stay for 10 years or longer. So why do they stay? What hooked them? How can we replicate that experience? How can we tell our story in such a way that attracts people into the Youth Development field and helps them to see it as a career path? We need to focus more effort on those who stay instead of trying to keep people who may never have had any intention on sticking around. Ensure that highly qualified staff are compensated competitively with related fields (namely social work and education). Omaha has largely been successful in establishing starting pay in alignment with that of starting teachers and social workers. However, the leak starts before we can get talented staff into the full time, professional roles. While part time hourly wages are competitive with paraprofessionals and other like positions, we are losing staff to retail jobs with more hours, more flexibility, and often higher starting wage. The Youth Development field has to find a benefit unique to our field to be able to withstand the temptation to leave the field for more money early in your career. If we can figure out how to attract people into the field and to help them see a viable future in it by promoting education/certification to a career, the pipeline could be able to sustain itself.